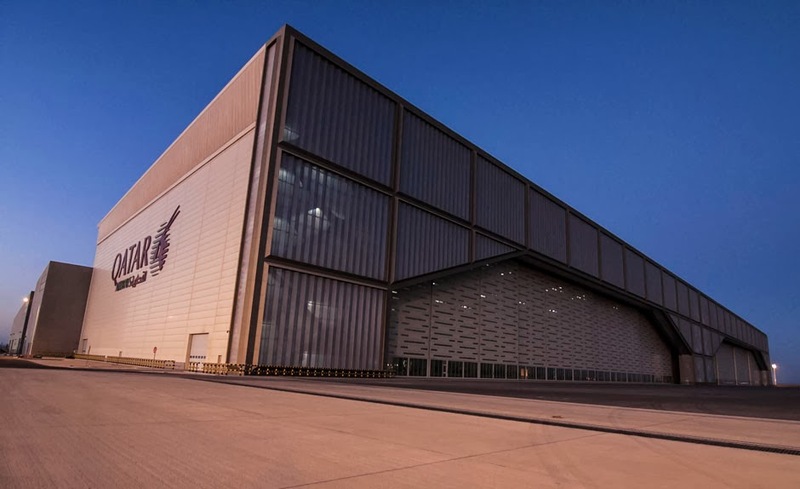 Jewers Doors, a family-owned business based in Biggleswade, recently completed a prestigious contract to supply new doors for an Asiana Airlines airport hangar at Incheon International Airport in South Korea. With 50 per cent of the firm’s revenue coming from exports, this order represented the latest in a series of global contracts for the company which designs, manufactures and installs aircraft hangar doors for commercial airlines, armed forces, corporate jets, VVIPs and royal facilities as well specialist industrial doors for numerous applications. Established in 1983 by Nigel Jewers and now run by sons Chris, Mark and Jonathan Jewers, the company has sought UKTI support in recent years to help consolidate its position as the leading global supplier in this specialised industry. In 2005 the company responded to an overseas business opportunity on the UKTI website and was referred for support to UKTI’s sector specialist for the airports and aerospace sector. In 2006 the company secured a UKTI Trade Access Programme (TAP) grant, which enabled it to exhibit at the Airport Build and Supply exhibition in Dubai. The company has since exhibited at other trade shows in India and China, with support provided through the TAP programme. Jewers Doors has also participated in UKTI export development programmes for new and experienced exporters – Passport to Export and Gateway to Global Growth – both one-year programmes which assist UK companies with development of export strategies to target new overseas markets. Both programmes helped Jewers Doors establish an on-going relationship with UKTI and its trade advisers. The United Arab Emirates (UAE) is currently the UK’s largest civil export market across the Middle East and North Africa. It is the UK’s 13th largest export of goods market, at around £5.1 billion, and is designated as one of UKTI’s High Growth Markets. The Phoenix industrial doors division of Jewers Doors, headed by Phoenix Director, Mark Jewers, recently returned from TRAKO, a rail exhibition in Poland which had UKTI support. Mark Jewers says: "UKTI were the dominant visitors to our stand and always offering their services within their respected territories. The interpreter they provided was well educated, spoke perfect English and soon taught himself about our product range." UKTI has played an important part in supporting the international success of Jewers Doors: during 2013-14, in excess of £1 million of the company’s export trade was attributable to the help and assistance they received from the organisation. “The advice we have received from UKTI has been of significant value to Jewers Doors in terms of helping us tap into new overseas opportunities,” says Chris Jewers.